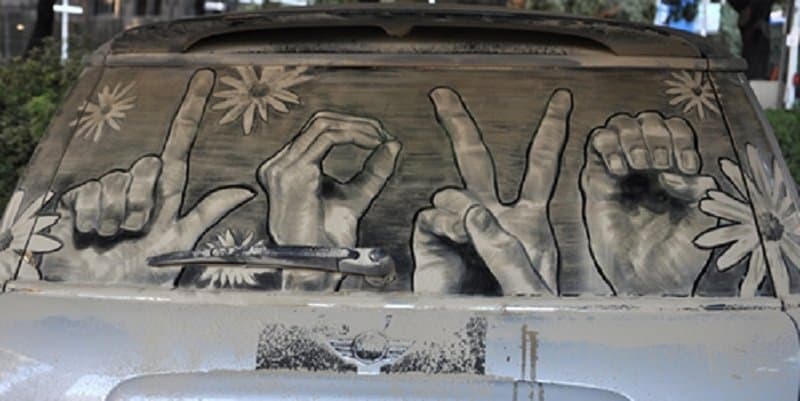 A bright piece that pays tribute to a time when people didn’t care about superficial things like dirty cars. 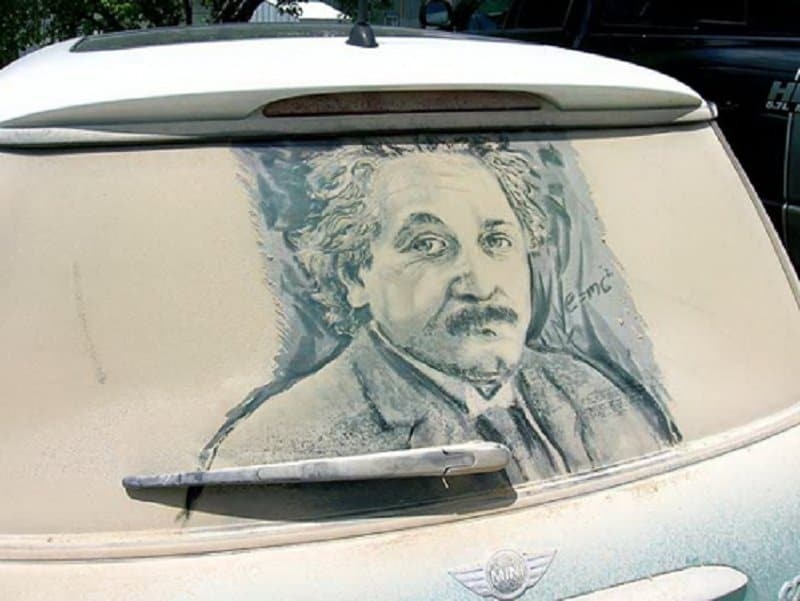 A master artist pays tribute to a master thinker using the most unusual canvas in the world. 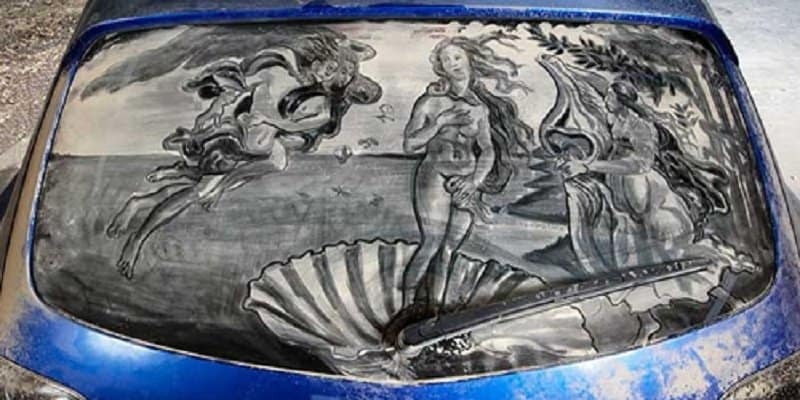 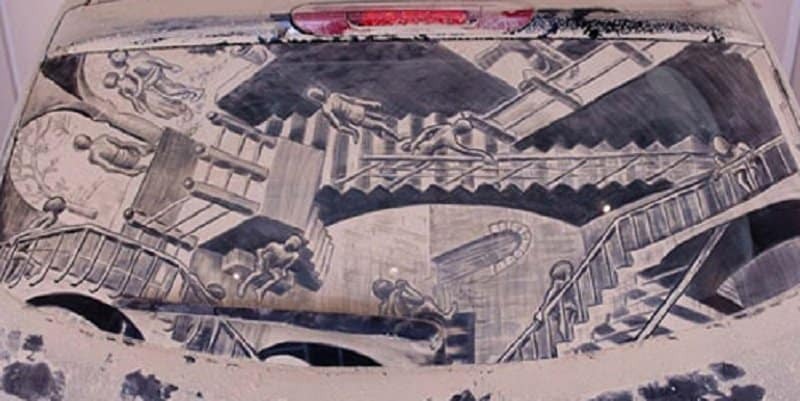 M.C Esher’s Infinite staircase has been drawn masterfully on the back of a car. 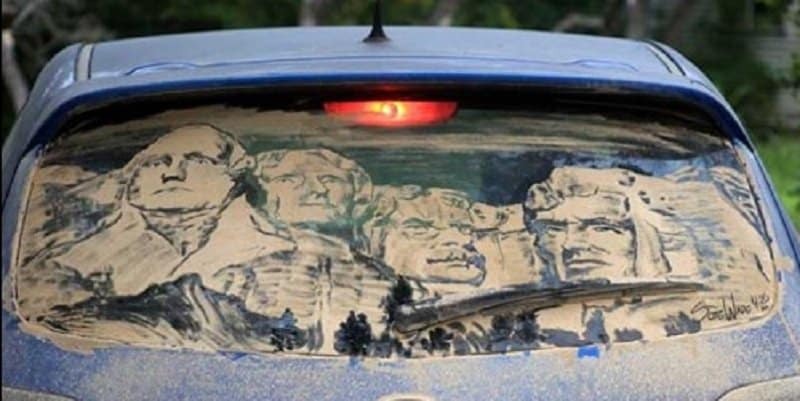 A great adaptation of the famous Mount Rushmore done on the back of a dirty car. 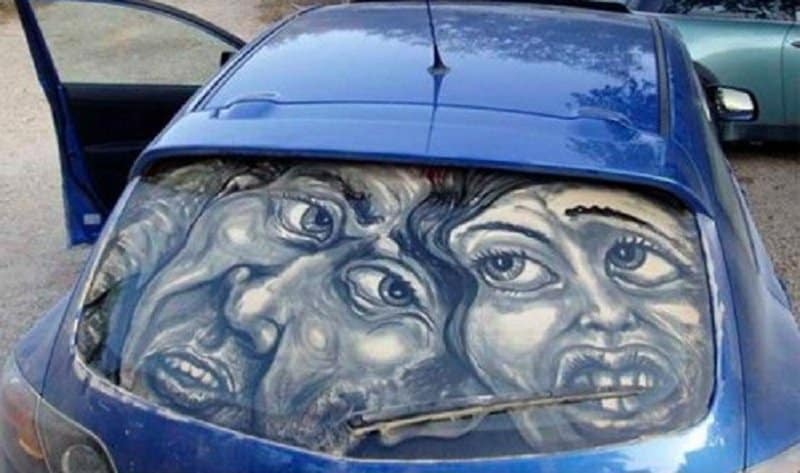 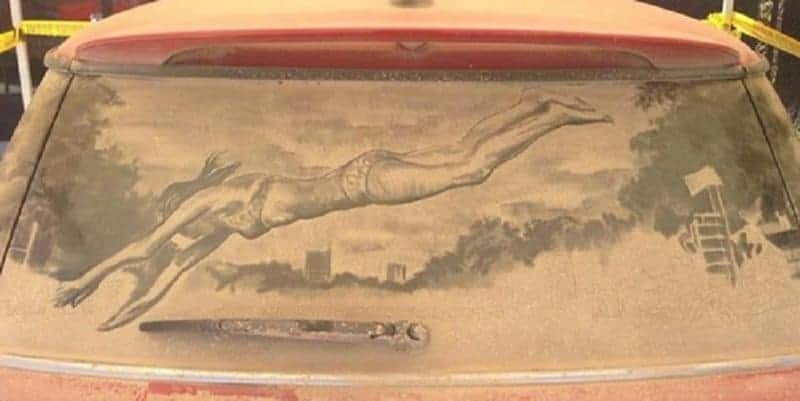 Who knew that a dirty car can be converted into a piece of work that deserves to be in a museum. 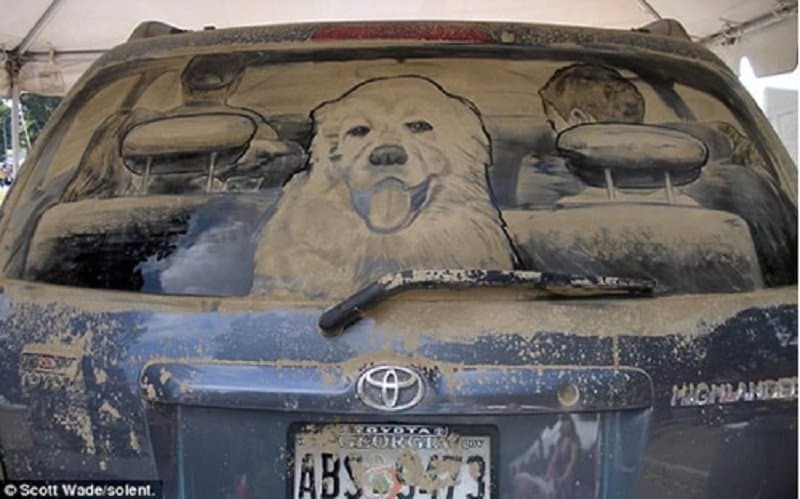 A beautiful piece that makes it seem like the car is filled with two people and a dog. 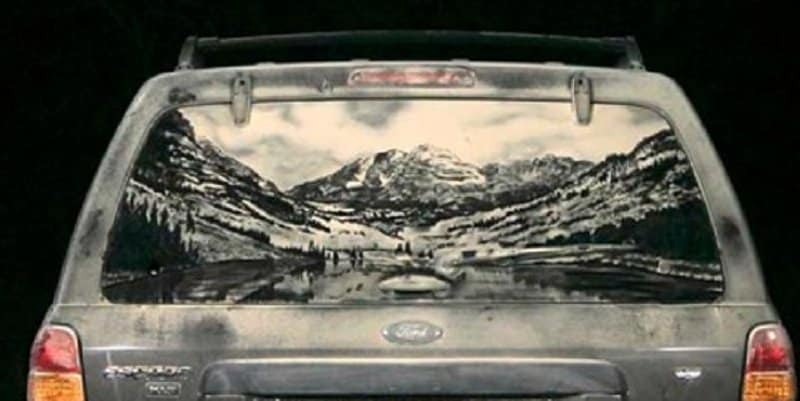 This is a view worthy of being immortalized as a postcard. 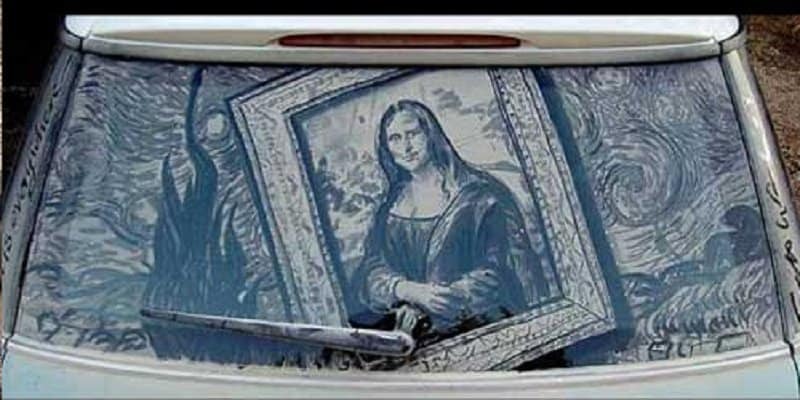 This piece is so well done that even Leonardo Da Vinci would be proud of it.